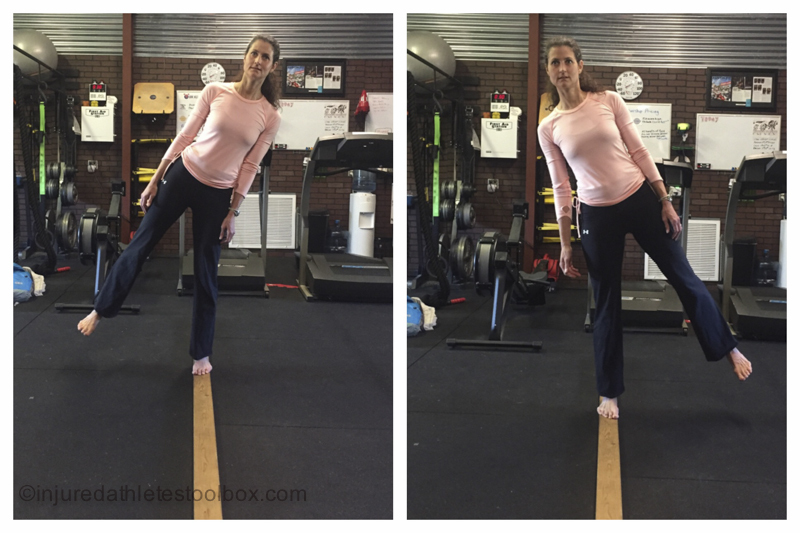 This is the third in a 4-part series where I’ll share why, after injury, working with a Movement Therapist is a must. You can read part 1 here and part 2 here. I coined it the grocery store standoff. I’d be walking down an aisle, someone headed straight for me. I’d think, “OK, Heidi, step to the right,” as the person closed in. Instead, completely overloaded, my nervous system forced me to a halt, arms spastically flailing as I regained my balance. As if to say “how completely rude,” I’d get stared-down for not stepping out of the way. “I’m just learning to walk again and I’m working on balance,” I’d say. People were very unforgiving, and I often felt humiliated. For several years I avoided grocery stores; they became one of my recovery Mt. Everests. Jesse is intuitive, plus he had seen me walk plenty, and my balance deficits weren’t subtle. So, for our third session we worked on a specific part of balance. I could stand in place on one leg–even with my eyes closed–but I had little awareness of where my body was in space. This is called vestibular balance, and almost every injured person earns deficits in this area. 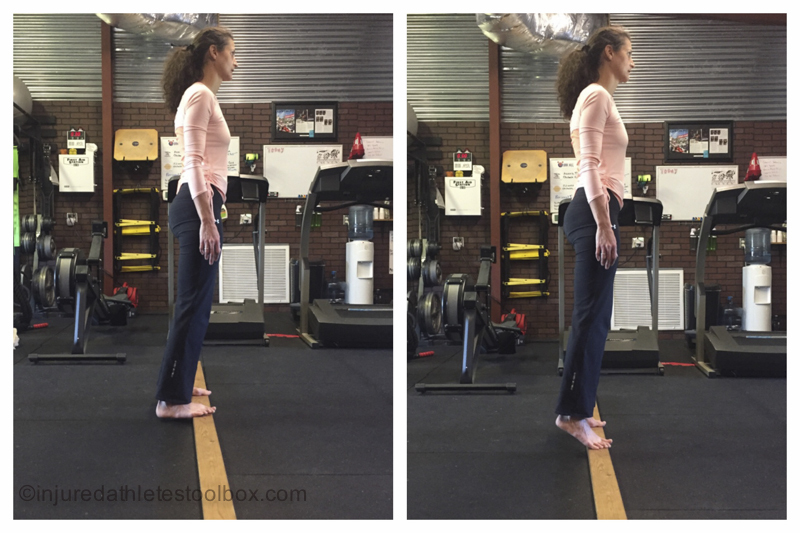 Most injured athletes power through recovery with little awareness of vestibular balance deficits, and oh what a mistake that is. Neglecting to address such a deficit begets a less-then-full recovery and an increased possibility of injury down the road. Jesse explained vestibular balance as a sense of awareness–bigger than you–of where your body is in space. Your brain takes in information from your skin, joint position, eyes, and every other bit of sensory information possible. It processes the input and tells you where you are in space and how to move. Simply put – it’s what helps you get into bed if you have to turn off the light at the wall and take a few steps to get there. The reality is that unless you find your edge, your nervous system, and subsequently your range of motion, will stagnate. Why? Fragmented vestibular connections won’t get sorted out unless you’re challenged almost to the point of falling. You know what though? Finding your edge is really fun; it makes you feel like a kid again. I’m not suggesting you walk a tightrope or anything dangerous. Start on the floor or close to the floor. Here’s where we started with balance on the 2x4s. Once I mastered these exercises with my eyes open, I tried them with my eyes closed…talk about a fun challenge. 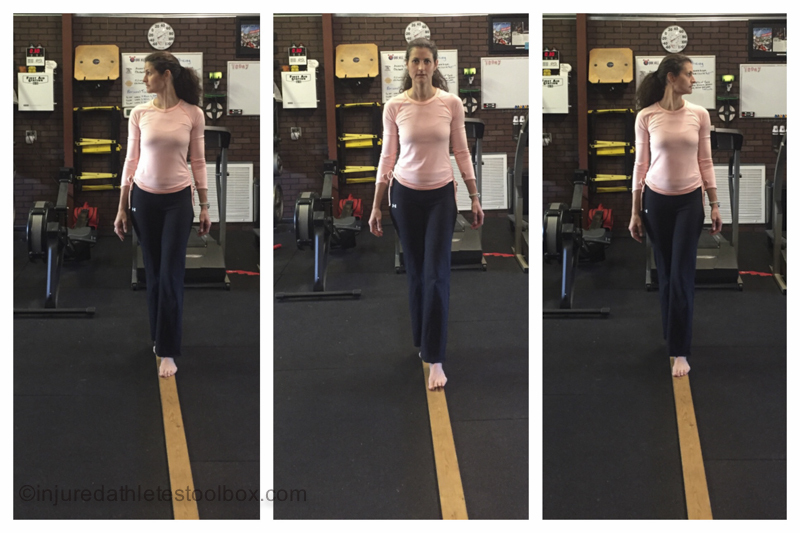 Improving vestibular balance matters for two important reasons: 1) so you can achieve a full recovery from your injury; and, 2) so you don’t devolve into a stereotypical little old lady or man. 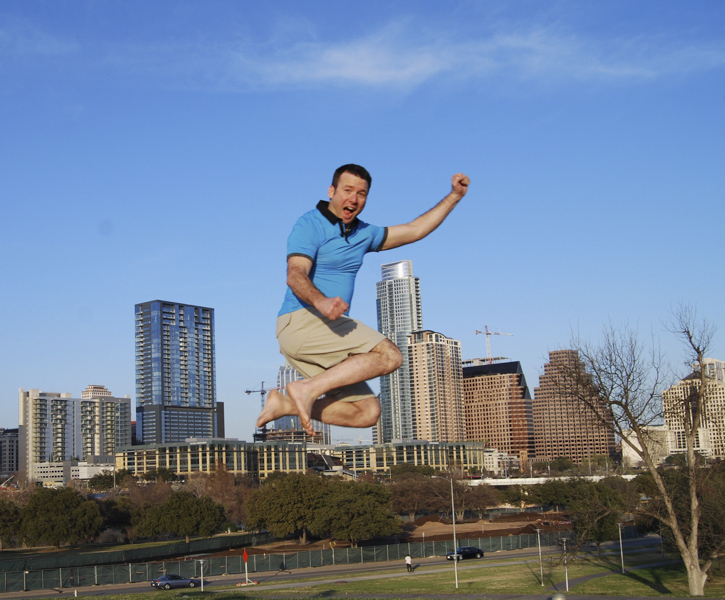 He started, “As children, we grow up constantly challenging our vestibular system. We tumble. We turn. We flip. We do all these movements that challenge our nervous system as a way of getting lots of information that develops a great sense of awareness of where we are in space. So by the time we become young adolescents we are proficient movers. Then, all of a sudden, we stop doing those things. We stop tumbling and turning and flipping and climbing and doing all the things that challenge our nervous system. We start to lose movement awareness. Then we lose the ability to move, slowly over time, until we become the little old lady or little old man walking out of the grocery store teetering from one unstable step to the next unstable step. What’s happened? The vestibular system has shrunken so far that the person’s awareness of where their body is in space has gotten so small that they are literally standing on the edge of their awareness with every step. If something were to challenge their sense of awareness–their sense of where they are–such as a distracting sound or sight, then all of a sudden their nervous system can lose control and they’re more likely to fall. Even at that advanced stage of restriction, we can challenge the nervous system to get stronger and bigger. So that’s where the work we’re going to do with the balance on the beam comes in. We take kids out of recess and put them in chairs. You go to college and you move less. You get a job and move even less. You have a family and move even less. Jesse said, “I would take it a step further. You’re not accessing what you have, and you’re not exploring what you don’t have. Just accessing what you already have means you’re limiting yourself. Jesse wrote a fantastic blog about this concept: Don’t Fear the Wobble. You can see what Jesse and I worked on during this session is the video below. I’ve spent lots of time explaining the importance of balance because most of us don’t think about the nervous system the same way Jesse does. And, after all, you have to live with your nervous system your entire life, so you may as well get a Cliff’s Notes user manual! I hope you start working on your balance today. There’s no greater investment you can make in your recovery. As for me, finding my edge and meeting it with grace means no more standoffs at the grocery store. If you’re struggling with post-injury frustration and patience, email me at [email protected] I’ve been where you are and I can help. Thank you, Michaux. Be sure to read parts 1 and 2 of this series, and stay tuned for part 4.